Fixed star Giedi, Alpha Capricorni is a 3.6 magnitude yellow optical double star located in the right horn of the Sea Goat, Capricornus Constellation. The traditional names Al Giedi, Algedi and Giedi, come from the Arabic word الجدي (al-jady) which means the billy-goat or kid, which also refers to the entire constellation. 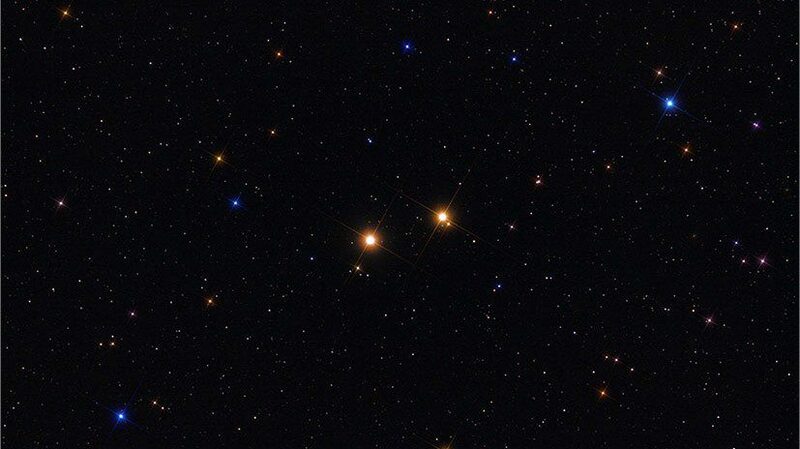 The two stars are 0°05′ apart, α¹ Capricorni (Prima Giedi) and α² Capricorni (Secunda Giedi). 1. Fixed Stars and Constellations in Astrology, Vivian E. Robson, 1923, p.167. 4. The Fixed Star Health and Behavior Imbalance, Ted George and Barbara Parker, 1985, p.138. 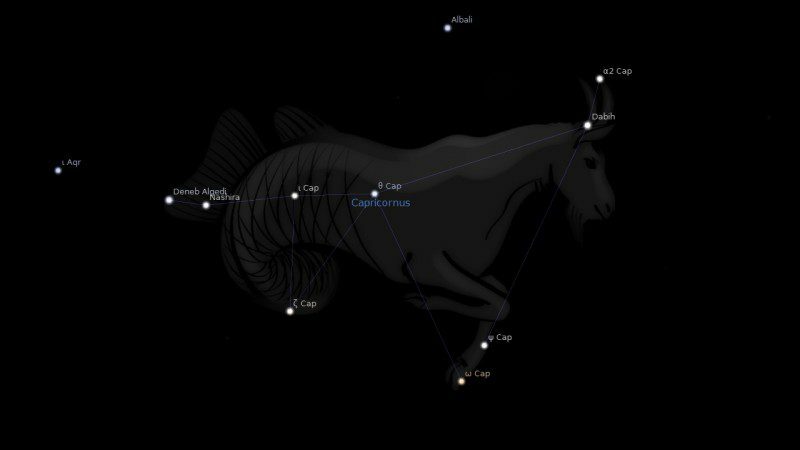 My son, Alonso, has this star in his ascendant (3:54). Do you have any comments for this position? I would expect much the same as the general meaning, perhaps like the Sun too. Thanks for your contributions over the years and enjoy 2016! We have to learn all of us much more astrology! 🙂 Thanks to you and your accurate interpretations. I showed him and he said he would reflect. I really think this is the aim of astrology. Thanks again! Oh! Jamie! He does not have any conj. there, though his Asc. does make a trine with the moon (7º Cancer, 6th H).